I created this Wedding Cake box display as one of my first projects for my summer internship. 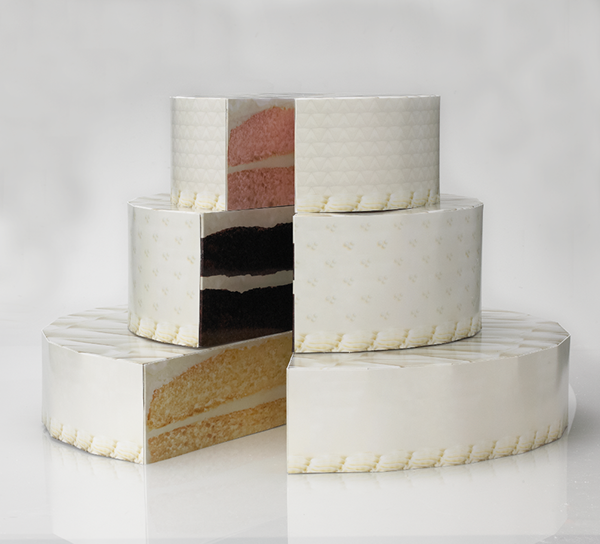 gave the individual cake slice boxes a context, as well as a visual element to help represent the overall display. Dimensions: 1' 4" tall and 2' 4" wide.